Update – this is still happening despite the tube strike. Reminder, BGORUG (Barking – Gospel Oak Rail User Group (BGORUG) :is holding a public meeting for beleaguered passengers discuss the situation and agree a plan of action for urgent relief from overcrowding on Thursday 9 July at 7pm in Walthamstow. The meeting will be a few minutes walk from Blackhorse Road station at Gnome House, 7 Blackhorse Lane, E17 6DS. The Gnome House cafe will be open from 6.30 pm. See earlier post for more info. but not good news – upgrades to the Barking-Gospel Oak line do not include extra carriages. As picked up by RAIL magazine please note the wishful thinking in the very last paragraph. The 8 Class 172 diesel units are 2-CARRIAGES ONLY! TfL went out to tender for 3-carriage diesel trains in May 2012 but never placed the order, condemning passengers to ever worsening overcrowding which is now set to last until 2018. Crossrail 2 would create a new high-frequency, high-capacity rail line running between south west and north east London. 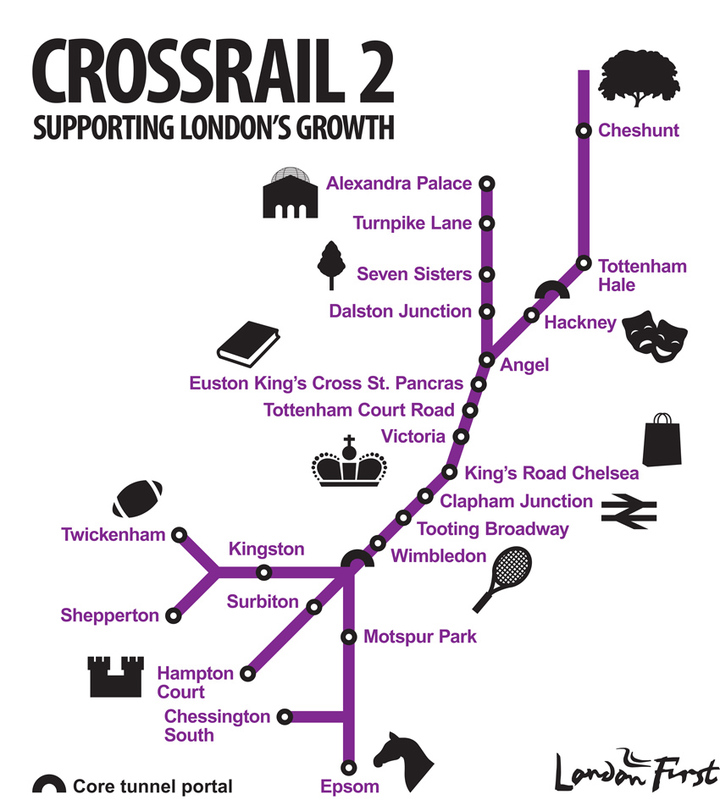 Transport for London (TfL) and Network Rail (NR) are seeking the views of people in London and south east England on Crossrail 2. A major new rail link connecting south-west and north-east London, via a tunnel beneath central London, is recommended today in a new report by London First.